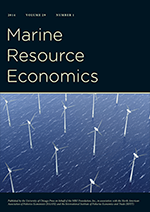 Environmental Economics: Is the special issue a joke too? Is the special issue a joke too? DUBIOUS AND DUBIOUSER: CONTINGENT VALUATION AND THE TIME OF DAY. Econ. Inq. 2015, 53, 1396-1400.
prepared manuscripts, submitted in 2014.
for authors at the journal website. "Dubious and Dubiouser" was published in the miscellany section of Economic Inquiry. While the data and results are real, it was written as a reaction to oil industry funded economists who are paid to be a bit too skeptical about the contingent valuation method. I guess that the journal "Laws" wants me to write another joke paper! And yes, MDPI is on Beall's list of potential, possible, or probable predatory scholarly open-access publishers. This email was machine generated.